E.T and 1 Guest are viewing this topic. The heating bills will add up over the years. And in 25 years the cost of that heating will be exponentially more too. I'd go with smaller windows, and maybe even upgrade to those super-duper triple glazed ones that help save on the heating. I see some "pillar" bases around the edges. Are they for a deck? Correct. They are for the deck. Although the bigger windows are probably double the size in area (heating requirements) you don't lose half the view with smaller ones. How about a horisontal window? Finding this thread very informative. Immigrant, what is your current heating bill in winter? With minus 25 degrees centigrade outside, it must be significant? It will be 4 windows of the same size. (4 smaller windows or the 4 larger size) But we talked last night and decided to go for the smaller size. The gas delivery cost is high. Back when they built this house the gas company had to install a 3 km gas line just for this house. they thought as the area developed more people would connect to this line, which in turn would lower my delivery charge. the more people share the line, the less each person pay for delivery. But 20 years later only one person connected to the line. My neighbours son is building a house and had to get permission from me to hook on to the gas line running over my property to my house. This is the shortest route to get to his house. They quoted him $18,000 just for the hook up and line install to his house 700 meters away. Wow. You pay less for electricity than I pay in Pretoria. Could you not just add an additional glass shutter window for winter. Seems to do the trick and you can then keep the bigger windows. The technology around nails has improved. Nowdays it is almost impossible to pull out a properly inserted nail from a piece of wood. The nails have serrations on them, almost like the threads of a screw, and believe me when I say that they SIT. Trying to get stuff apart for repairs is a hellofa mission. Easier to insert the sawsall with a steel cutting blade and just cut the nails off between the two pieces of wood. You can get some really big ones... will shoot a 6" nail right through a car tyre. But the compressor needed to power it would cost a fortune. Much better idea would be to get a windscreen wiper washer motor, connect it to a wiper washer resevoir, and a small pipe that exits the side of your car at the edge of the front bumper. Then fill the washer tank with brake fluid, and give each errant taxi a quick squirt. Looking very good there! 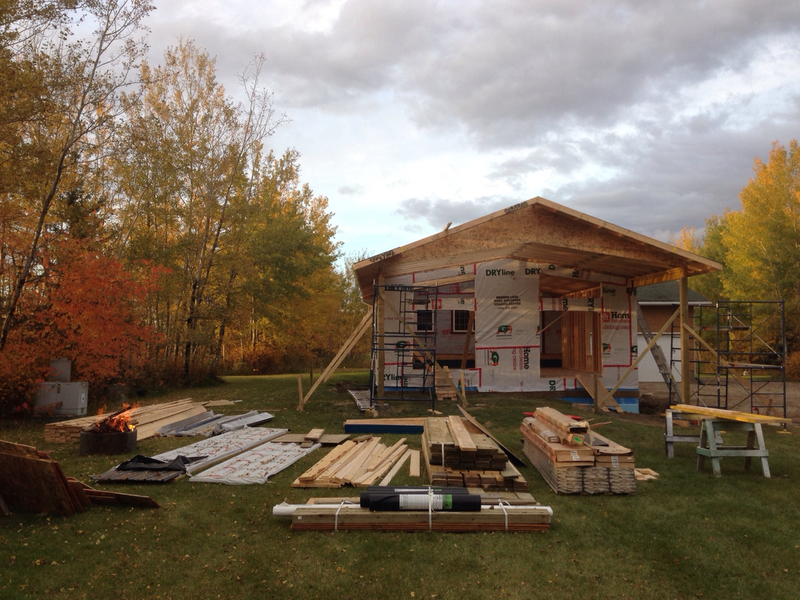 You think you will have it almost done before the snow sets in? 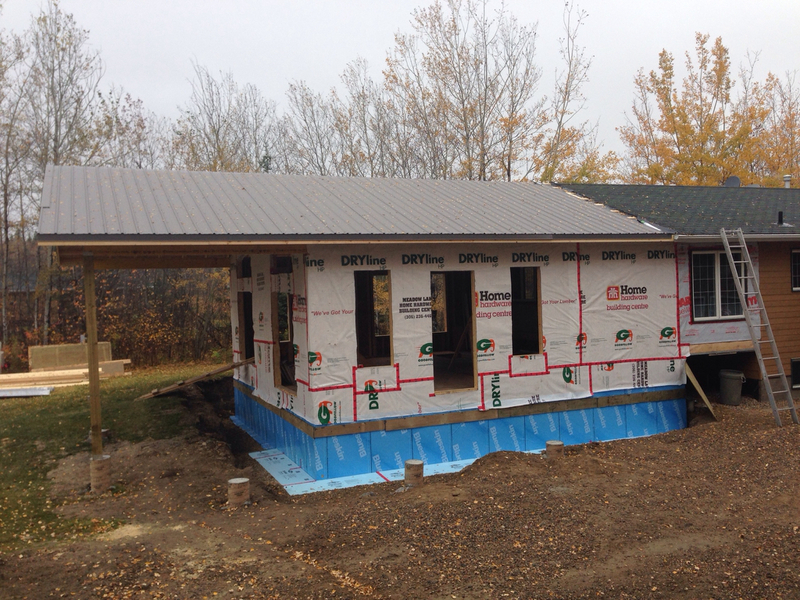 Ant if the rain stays away we should have shingles off and the tin on all the roof by next week Thursday. 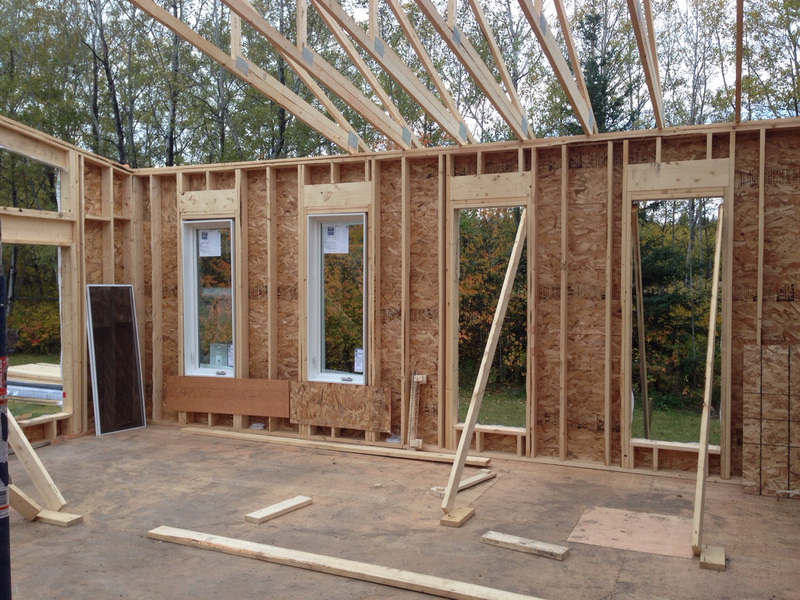 We could do the windows and siding after that and then the snow can come. If the outside shell is done we could carry on inside without too much problems. 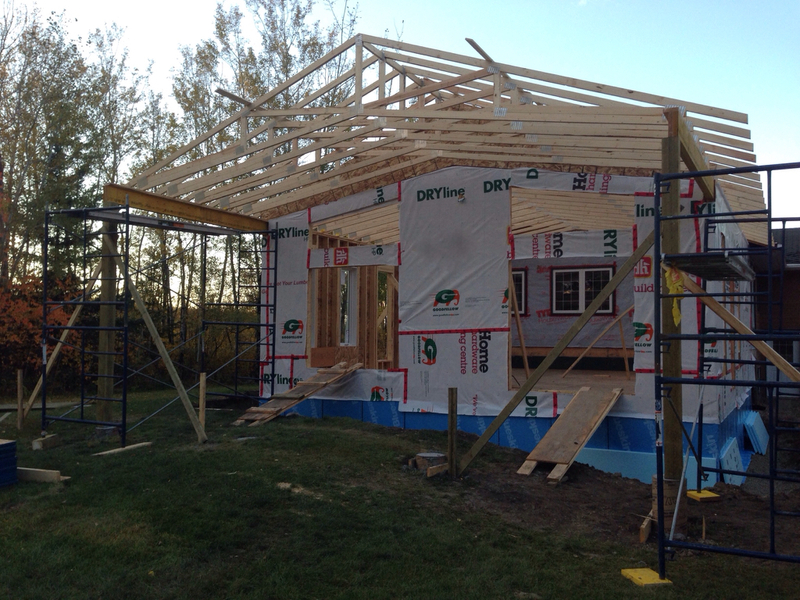 We got half the roof sheeted today. Maybe have the tin on the new roof by tomorrow night. Just don't burn it all. It is not that cold yet! Its going fast! Well done. 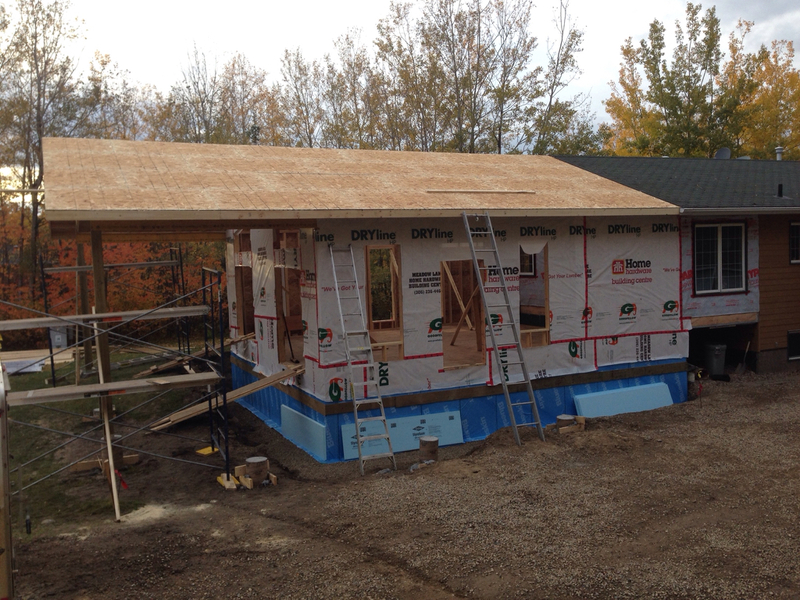 We got the tin on the addition done, but it was raining the last few days and that slowed us down a lot. 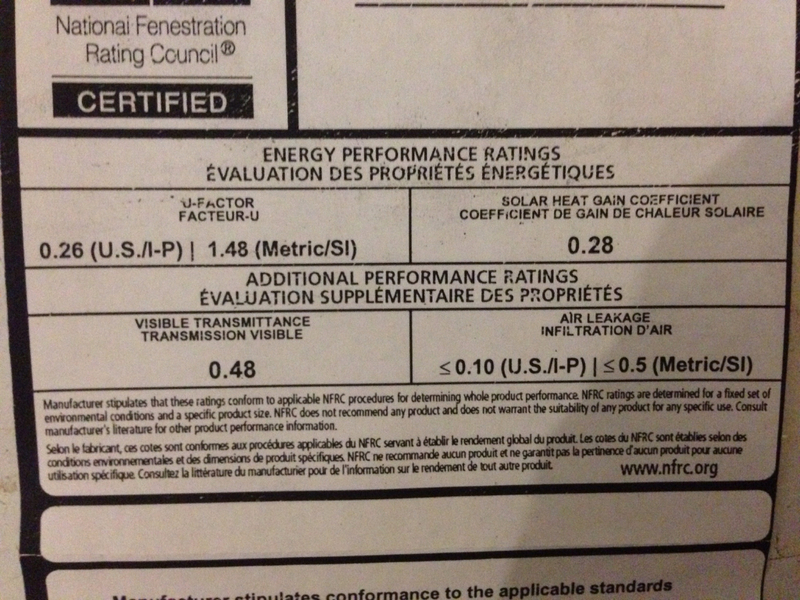 We also did not pass the inspection so we could not backfill. 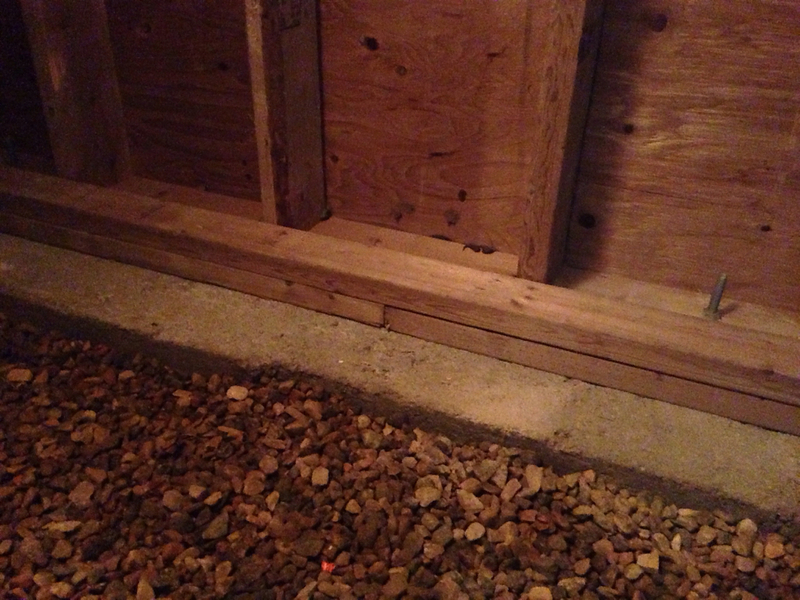 We had to put these "braces" in the crawlspace to prevent the weight of the soil pushing the studs off the bottom plate. I thought because the crawlspace is so shallow that it would not be necessary, but the inspector figured better to be safe than sorry. 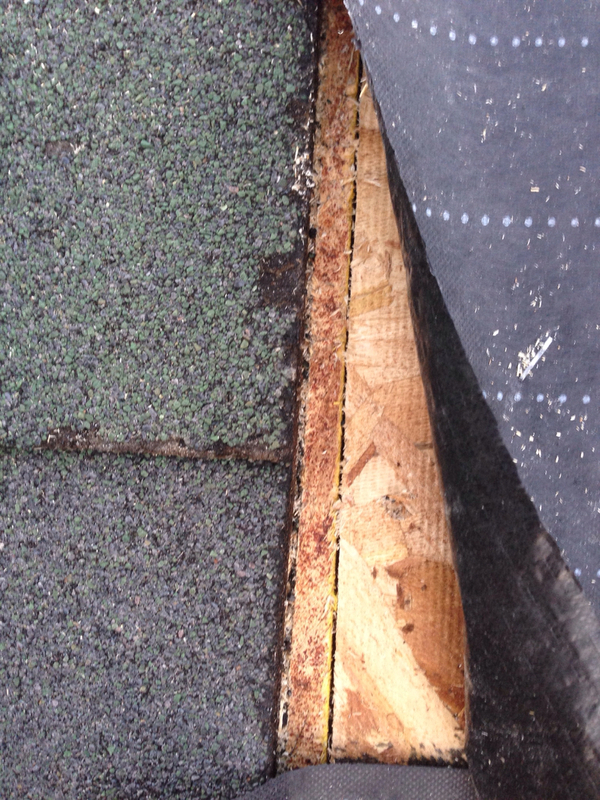 The transition between the old and new roof was 100% square and level. That was a relief!! Page created in 0.942 seconds with 27 queries.